Intelligencerfeature July 14, 2015 8:00 a.m. When Gloria Huang was declared dead in a Doha emergency room, her parents had no time to grieve before they were caught up in a legal nightmare. When Gloria Huang was declared dead in a Qatar emergency room, her parents had no time to grieve before they were caught up in a legal nightmare. 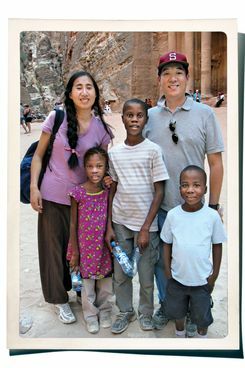 The Huangs on vacation in Jordan in October 2012, a few months before Gloria’s death. Gloria loved singing and dancing. She loved being read to — Mrs. Tiggy Winkle and Two Bad Mice, by Beatrix Potter, were favorites. She loved puzzles, princesses, climbing trees, and riding on her bicycle with her helmet off. She loved watching The Nutcracker over and over while her mother did her hair. Her brothers would get a little jealous of that one-on-one time. Gloria loved that, too. There were also problems that were hard for an 8-year-old to articulate. When Gloria acted out, it was usually with food. She’d refuse to eat for days, then brag to her brothers about how long she could go. She’d sneak into the kitchen at night and gorge herself — a full loaf of bread, a whole box of cereal, a package of cookies. Sometimes she’d eat leftovers from the garbage — or tissues. In one frightening episode, it was aspirin and Pepto-Bismol. Her parents began to lock her bedroom door at night. 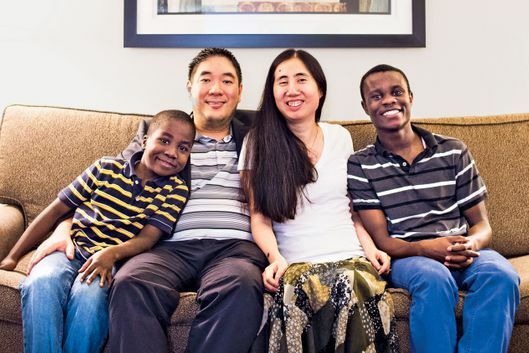 Gloria was adopted, and though adopting troubled children was something that Matt and Grace Huang had sought out together — a mission in line with their Christian faith — they were floored by some of the challenges. Matt and Grace had known each other since they were teenagers in the same church choir in Los Angeles. His parents were from Japan and the Philippines; her family had come from Taiwan when she was 7. They both attended the University of California–Irvine. When they started dating, after college, Grace was studying to be an elementary-school teacher; Matt was working for the engineering company MWH Global, setting up water-infrastructure projects in L.A. They got married and talked about starting a family. When they learned they could not have children of their own, they decided to find others to take care of, just as they trusted that God would always take care of them. They settled on Ghana, where they could adopt older children, ones who might be overlooked by other prospective parents. Gloria was 4 when they first learned about her in 2008; her brother Ezra* was 6. They were living together in an orphanage. “They just kind of kept coming back to us,” Grace says. “We would think about them. We were praying for them, that they would find parents. But, yeah, it ended up being us.” Grace spent two months at the orphanage, getting to know them and easing the transition. She decided to quit her job as a teacher to homeschool them. 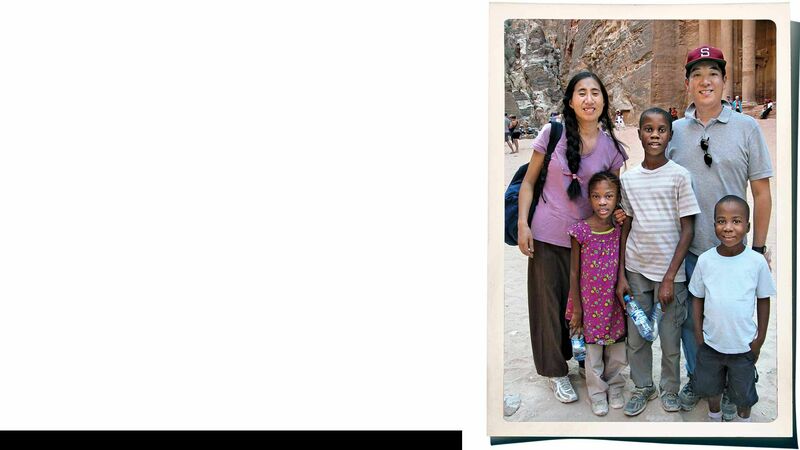 When she arrived in L.A. in May 2009, Gloria weighed 38 pounds — just below average. Her checkup revealed giardia, a parasitic infection. She took antibiotics, and by July 2010, she was 43 pounds. Then there was a backslide: In November 2011, she was 40.8 pounds, significantly underweight for her age. Grace and Matt understood what she was going through, to a point. They’d learned that because of their early deprivation, children like Gloria can feel constantly empty, both physically and emotionally, cycling in and out of trusting their caregivers. 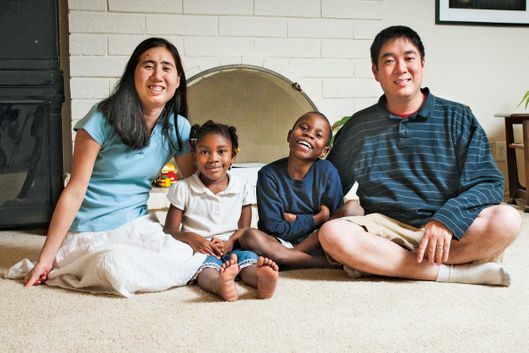 There was a diagnosis for this — reactive attachment disorder, or RAD — and the Huangs followed the protocol, creating what Grace called a “high structure, high nurture” environment. Mealtimes were still the same: They sat together at the table as a family, whether Gloria ate or not. They made sure she stayed hydrated, and her doctor assured them she was healthy despite her low weight and encouraged them to be patient and nonconfrontational. RAD is considered an emotional disorder more than a medical one, and pushing food on their daughter seemed only to spur more tantrums. In 2012, MWH Global named Matt part of a team designing a water-purification project to ready the city of Doha, Qatar, for the 2022 World Cup. He had always traveled a lot for work, but this job would be a two-year assignment, at least. Matt and Grace decided they should go as a family. 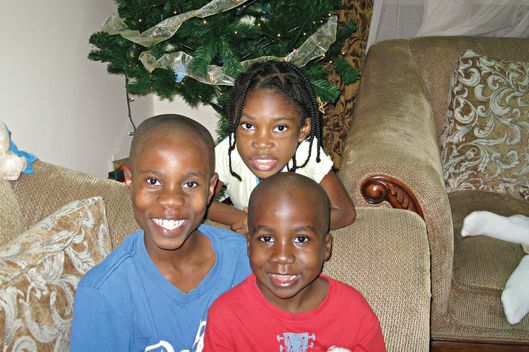 Before the move, their pediatrician gave a clean bill of health to Gloria, her big brother, and a new little brother — Jesse, adopted from Uganda a year earlier. They arrived in Qatar in the middle of Ramadan, when Doha seemed all but closed. They rented a duplex in a gated compound with a pool, made friends with non-Qatari employees of ExxonMobil and other big companies, and joined a church. Life took on a certain rhythm, not unlike the one they’d known at home. Then came Christmas. Gloria was withdrawn, and as usual she wasn’t saying why. They celebrated Ezra’s birthday in early January. Soon after, the family was at lunch at another expat home when Gloria gorged herself on cake and biscuits. Afterward, she said she felt sick and refused to eat. Matt and Grace faced a quandary. They had yet to find an English-speaking pediatrician, and so they decided that, rather than take Gloria to a Qatari doctor whom none of them knew and risk sending her further into her food boycott, they’d try to ride it out. Looking back now, they can’t help but wonder if they missed signs that her condition was more serious. There’s no set rule for how long to let RAD kids refuse to eat; it depends on the child’s condition. A day passed, then two and three. Gloria still wasn’t eating, but she was running, playing, jumping. Some friends came over for Bible study and later said they saw Gloria with the other children, and then heading upstairs to go to bed. The next night the family had a late dinner planned. Grace was out, Matt and the boys were downstairs, and Gloria was up in her room. When Grace came home at about 8:30 p.m., Matt went upstairs to get Gloria. That’s when he saw his daughter lying on the floor — foaming at the mouth, her shirt soaking wet. Matt threw something dry on her and carried her to the car. Doha’s Al Emadi Hospital was only a few blocks away. He made it to the ER at about 9:15. He was kept from the operating room as doctors and nurses flew in and out in a panic. At 9:57, Gloria Afful Huang was declared dead. The cause, the staff told Matt, was cardiac arrest. “I was told she was dead on arrival,” he later said. Still trying to comprehend what had happened, Matt went home to bring Grace and their sons back to see Gloria one last time. When they got to the hospital, they were given a brief moment to pray alongside Gloria’s body. Then Matt had to deal with some insurance paperwork. As soon as he was away from the others, a police officer asked him to step outside, where a large SUV was idling at the curb. Matt was ushered into the backseat. A plainclothes officer started asking him questions. Meanwhile, Matt noticed men in uniform, about ten in all, approaching the SUV, surrounding it entirely, blocking his view of his family. The officer was not satisfied, particularly when Matt told him that Gloria was his daughter. “They said, ‘How did she die?’ ” Matt remembers. “They asked me that ten, 15 times.” He had no answer because he had no idea. That wasn’t enough for his interrogator. Matt says he was asked “How come you don’t know how she died?” several times. Then the man said, “Oh, you’re a bad father, you’re working too hard?” He was told again and again that he was a bad father. Other officers questioned the boys. “I was kind of listening to them,” Grace remembers. “‘Where do you go to school?’ ‘We homeschool.’ ‘What do you do? What do you take?’ ‘We get up and we … ’ — going through the whole schedule.” One question seemed especially pointed, given the circumstances. “Do you eat?” the boys were asked. Matt was brought to the same station. The couple had been up all night when they were asked if they knew someone who could take the two boys. After contacting the U.S. embassy, Matt called a friend from their church, who arrived close to dawn. Matt and Grace said good-bye to their boys. The next day, they were charged with murder. The vast majority of Qatar’s 2 million inhabitants are foreigners, there to consult on projects related to oil and, more recently, the upcoming World Cup. But Qatar is no melting pot. Rich Qataris known to back terror groups like Hamas live not far from a strategically important American military base. Expats like the Huangs live almost in a nation within the nation, with their own schools, shops, and churches. In that environment, it is easy to be unaware of Qatar’s judicial and political system — unless something goes terribly wrong. The Huangs’ decision not to send their daughter to a doctor when she hadn’t eaten in four days seemed particularly suspect to the court. From the start, the police worked to find evidence that the Huangs had been withholding food from Gloria. 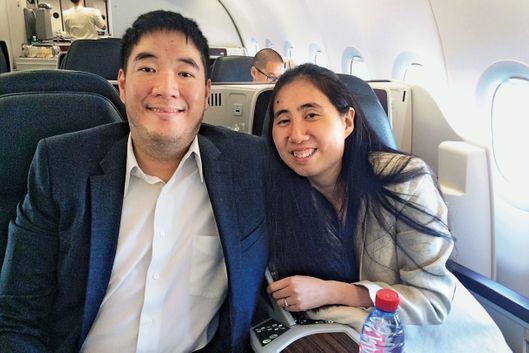 They saw a line in the ER’s report suggesting that she appeared malnourished; they heard from friends of Matt and Grace about how Gloria hadn’t eaten since getting sick on cake; and when they examined the Huangs’ house in Doha, they saw a lock on the outside of her bedroom door, with a key in it. The lock had come with the rental — Matt maintains that Gloria had not been locked in her room the night she died — but to the police it was evidence that the Huangs punished her by keeping her in her room. Grace’s mother and brother, along with Matt’s parents, came to Qatar. The key to their freedom, they all thought, would be Gloria’s autopsy. Yet that report declared the cause of death to be dehydration and cachexia, a wasting away of the body. The prosecutor took this to mean she had starved to death. The doctor noted that Gloria’s vital organs suggested she had no underlying conditions that might have caused her death. Matt and Grace’s family commissioned a second opinion after her body was returned to the U.S. Harry Bonnell, a San Diego doctor, wrote to the Qatari court that his examination showed that no tissue samples had been taken from her organs — evidence, the Huangs say, that at least part of the Qatari autopsy had been botched or fabricated. By the time Bonnell saw the body, however, it was too late for him to make his own assessment of how she died. Based on her history, both Bonnell and a second American medical examiner who reviewed the case suggested that Gloria’s food issues may have masked an undiagnosed problem — a lingering parasite issue or pre-diabetic condition — that may have made her prone to a sudden infection. As the trial approached, the Huangs’ lawyers submitted documentation showing that their adoptions were legal, sworn statements from friends in Doha attesting to their loving relationships with their children, information about RAD and how it’s treated, and evidence showing Gloria was active in the days before her death. But on the first day of the trial, investigator Ahmad Ishaq told the court he believed Gloria “stayed seven days in the room without food” as a punishment for taking cake. The prosecution’s other witnesses echoed this theory. The judge ordered the Huangs to remain in jail pending his decision. If found guilty, Matt and Grace faced the death penalty. Frustrated and scared, Matt’s parents sought the help of the David House Agency, a Los Angeles–based international-crisis firm founded by Eric Volz. Convicted of murder in Nicaragua a decade ago, Volz was eventually exonerated; he’s since become an adviser for Americans in trouble abroad. Most famously, he advised the family of Amanda Knox, who had been charged with the murder of her roommate in Italy. His clients tend to have an underlying naïveté, Volz says, believing that being an American protects them from the vagaries and injustices of a foreign system when the opposite is often true. Volz privately urged the U.S. government to take a public stand on the Huangs’ case. At the same time, he sought to draw attention to them in the media. In August 2013, a story was published by Al Jazeera, which is owned by the Qatari royal family. The article called the matter “a case which lawyers and medical experts in the U.S. say is based on shoddy evidence and poor science,” and cited “a campaign” to release the Huangs. Days later, Volz says, he was contacted by a private representative for the Qatari attorney general, requesting a private meeting. Volz arranged to see Attorney General Ali bin Fetais al-Marri at a hotel in Paris. “I brought an iPad,” Volz recalls, “with pictures of the Huangs.” There was Gloria with the family at Yellowstone and opening Christmas presents. “She’s cute,” al-Marri said. Then he stopped, Volz says, and glanced around, as if checking for cameras. “I need this campaign to stop,” al-Marri said. “What do you want?” Volz said he wanted Matt and Grace to be released immediately and for their sons to come home. Al-Marri (whose office did not respond to requests for comment) agreed, says Volz, but said it would take time. By the fall of 2013, the boys’ travel ban was lifted and they were sent to live with Grace’s mother. But the case against the Huangs continued. In jail, Matt says, he was assaulted by inmates several times, once sexually, the details of which he still won’t discuss. On November 6, 2013, the Huangs’ friends were permitted to testify at a new hearing, and despite objections from the prosecutor, the court approved the request for the Huangs to be released until the judge made his decision. By then, Matt and Grace had hired a new law firm, Lewis Roca Rothgerber, which filed a formal request to investigate Gloria’s pathology report. Janice Ophoven, a medical examiner with a pediatric specialty, knocked down the starvation theory, writing, “One cannot medically diagnose that a child was starved to death if the child was seen functioning and walking just a day before dying.” That argument seemed to work. On March 27, 2014, the judge threw out the Huangs’ murder charge. But the case wasn’t over. In the same hearing, the judge suddenly ruled on an entirely new charge. The Huangs, he said, were guilty of child endangerment — committing a criminal act when they did not seek medical attention for their daughter’s refusal to eat. The State Department has never acknowledged any connection between these events and the Huangs’ case, and no government source would comment for this story. But Volz believes that foreign governments tend to treat cases involving Americans opportunistically and that having Americans in limbo helped Qatar’s bargaining position. “We believe institutional kidnapping is a new form of asymmetric warfare used by small regions to engage larger powers,” Volz says. On July 31, 2014, after the arms deal was announced, the State Department issued its first public statement urging the Qatari government to lift its travel ban on Matt and Grace. But at a hearing for their appeal of the child-endangerment conviction, a Qatari prosecutor continued to argue that the Huangs had “purchased the children.” Matt had enough, shouting in open court: “You lie! You lie!” The outburst was reported worldwide. In November, a U.N. monitor assigned to evaluate the independence of Qatari judges and lawyers sent a heated communication to the emir, arguing that what was happening to the Huangs appeared to be a violation of international law. They were stunned: After nearly two years of prosecution and detention, neither expected a complete exoneration. Grace remembers thinking, I’m not going to believe it until we’re in the air. Hours later, the U.S. ambassador accompanied the Huangs to the airport, but as they waited to board, immigration officers confiscated their passports. It took three days — and a call from John Kerry to the Qatari foreign minister — before they could fly home. Matt and Grace landed in L.A. on December 8, 2014. The sons they hadn’t seen in almost two years ran into their arms. Only Gloria was missing. In May, Matt and Grace agreed to meet me in Volz’s office. They live a few hours outside Seattle now, near Grace’s family and away from most everything else. They are still fragile, still reconciling what happened with their trust in the essential good in the world. Matt isn’t working yet. “I had a lot of dreams and hopes once,” he says, “and now I’m in a phase where frankly I don’t know the future.” The couple is suing MWH Global for negligence and wrongful dismissal. Beyond seeking financial compensation, the Huangs hope to set a precedent for international companies on proper crisis-management measures. “I do believe that American firms have the responsibility to take care of their people,” he says. 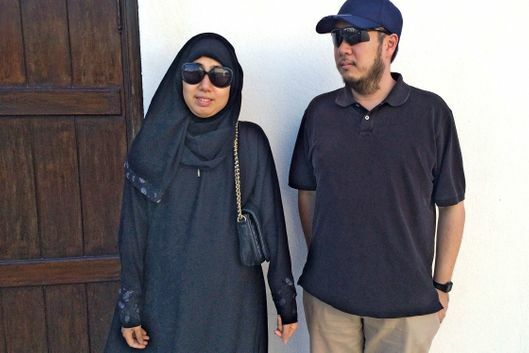 Neither he nor Grace had been warned, he says, that a multiracial family would provoke suspicion in Qatar, that adoption is prohibited there, that police contact can be treacherous. Grace answers every question about Gloria haltingly, as if she were about to be taken from her again. She doesn’t know if she is even meant to know why her daughter died, she says quietly. She struggles with “being able to say, ‘I don’t have to know.’ ” For Matt, the circumstances of Gloria’s death play constantly in his mind. “I had to get to the point where I trusted that God is in charge,” he says, his voice wavering in a way that suggests he may not be there yet. *The names of Gloria's siblings were changed at the request of the Huangs.